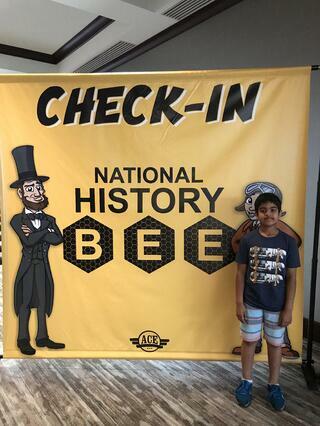 We are so excited that Arnav K., one of our BASIS Independent Fremont Bumblebees, had the opportunity to participate in two major competitions at the end of the 2016-2017 school year. He was kind enough to pen these dispatches from his travels! 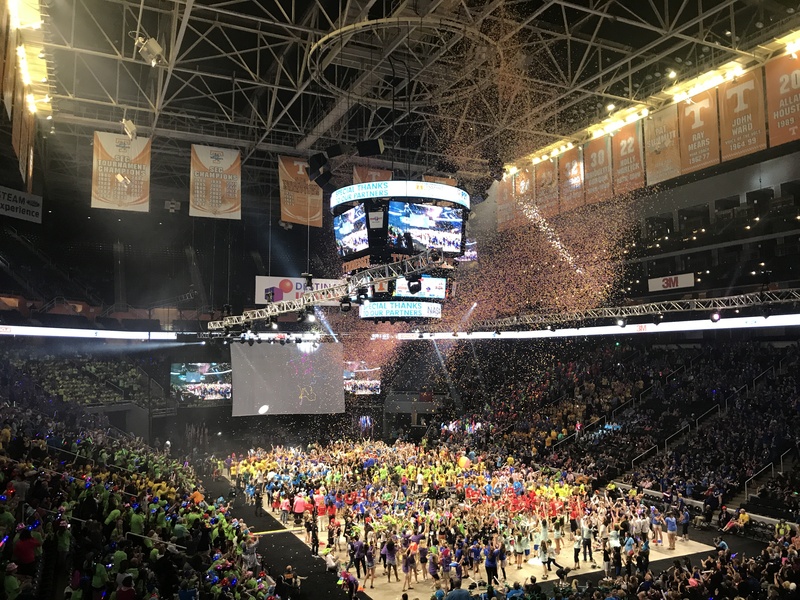 Destination Imagination is a volunteer run competition in which thousands of students compete in their regions, states, countries and internationally. You can meet many other people and compete with them. There are multiple challenges you can choose to compete in. They are: the Technical Challenge (also known as “Show and Tech”), the Scientific Challenge (known as “Top Secret”), the Engineering Challenge (known as “In It Together”), Fine Arts (known as “Vanished”), Improv (known as 3-peat), and last but not least, Service Learning (Ready, Willing and Fable). If you under 8 years old, you can do a little kid program called Rising Stars. You can choose any one of these and form a team. The listed challenges are called main challenges because they are 75% of your team’s score. The other 25% is called Instant Challenge. They give you 5-10 materials and a task to do. For example, they might give you 4 pipe cleaners, 2 straws, and mailing labels and tell you to make a structure. Our team chose 3-peat Improv as our main challenge. This year we had to put a certain main character (ex: hero, eccentric person, director), a certain genre, and two crazy prompts, that the judges would tell us, into our story. We could also use props that could fit inside a 13x13x13 box, called the box-o-stuff, to enhance our story. In regionals and state we got 1st place. Before the competition started, everyone did pin trading. They would bring pins from their hometown and trade with other people from around the globe. I started off with 25 California pins but ended up with 50 pins form around the globe. Later in the day, the competition was kicked off by an opening ceremony. All of the countries and states that were competing were called in holding their flag. It was one of the best parts of the globals. The next day was our Instant Challenge at 8:15am. We went into the building nervously. The judges recited the challenge that was on the paper. We had to make a structure as high as possible on golf balls. The higher the structure and the more golf balls it touched, the higher the points. All in four minutes. We decided to go for the golf ball approach. We attached straws together to form a square and made it stand on the golf balls. We knew we would not get a lot of points, but we were optimistic and thought we would do much better in the main event. The next day was our main event, Improv. Our chance to make up for our poor instant challenge had come. The judges announced our team and told us our crazy story prompt “The main character is fixing a car and a boat stopped in the middle of a race.” The story prompt stays the same for three shows but you get different main characters and genres each time. While doing our skit, we got confidence from the laughter of the audience. After our skit, the judges came and asked us questions about our props, preparation, and many other things. They said that our props were the best props that they had seen so far. They also told us to come in one hour or two to collect our score. In that hour, our team did pin trading. I got a Singapore pin while trading. If you didn’t do well, pin trading would be one of the most fun things to do at the Global finals. The closing ceremony was on Saturday, at 4:00 p.m. We knew we would not win top 10 in the world because of our instant challenge fail. We went to the ceremony for the fun of it. Later in the day, they revealed our scores. We got 29th in the world! It was my first time doing anything like this and I got 29th in the world. In DI, China won the most awards for top ten, in elementary, middle and most of the awards given. California got 10 top 10 awards. That was my first week on the East Coast. It was a blast! 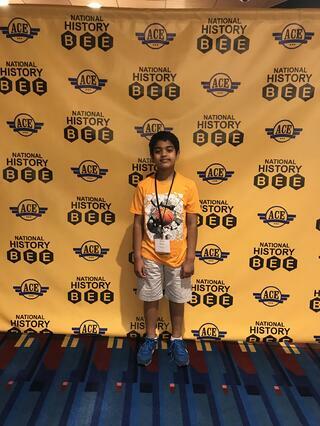 The 2017 History Bee Nationals took place in Atlanta. 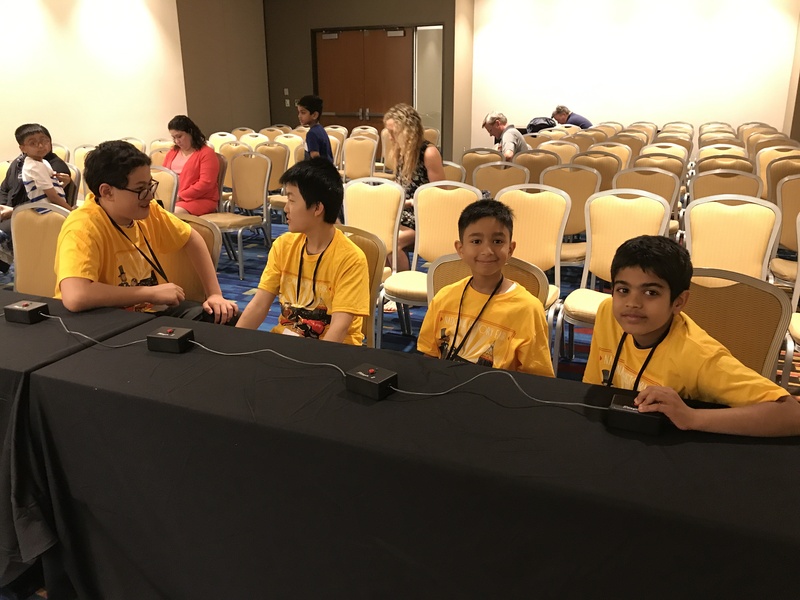 Along with two other students from BASIS Independent Fremont, we thought about signing up for the History Bowl, which was a team history competition that began the first night. 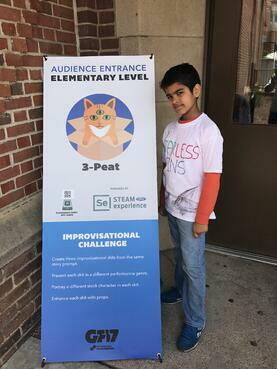 We found out that there were no levels and that elementary students competed with middle school. 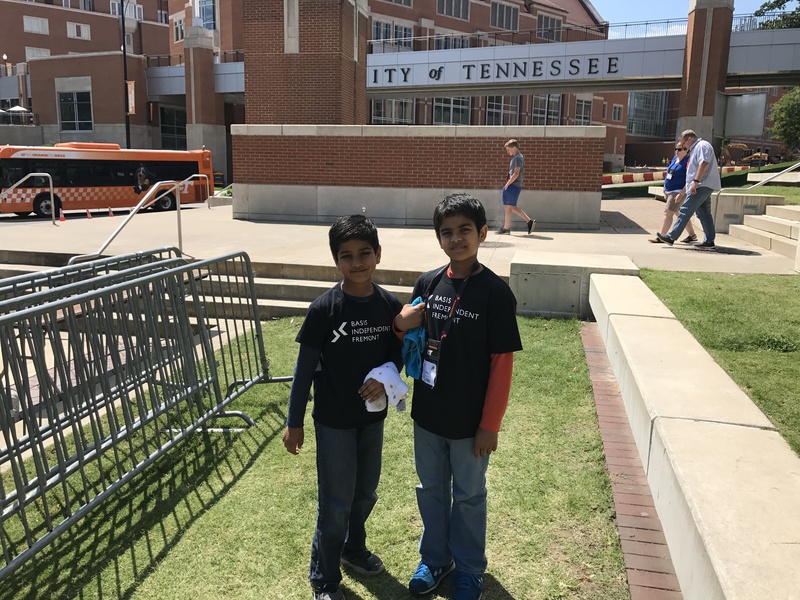 We teamed up with two students from BASIS Independent Silicon Valley and competed in the bowl. The top 16 teams would go to the “playoffs” but our team was 17th. Our win-loss was 5-3. If we had gotten one more question correct we would have been 16th! The following day was my History Bee, which was an individual competition. There was a written test with 40 questions and 20 minutes to do them. The other rounds were not written. You had to press your buzzer as soon as you thought you could answer and after you buzz in you have 5 seconds to say your answer. If you get 8 correct answers, you get a bonus based on how many questions are left and you get to advance to the next level. If you interrupt incorrectly 4 times you also must leave the round. In the first round, we all got zero. The buzzer questions were much harder than the test! In the third round, I did much better and got four. On a lot of questions, someone would buzz in a fraction of a second before you and they would get it correct so you would not get any credit for knowing. The fourth round was probably the most frustrating of them all. I got 3, but I knew 8 of them total. If it was based on the ones you know, I could have gotten 8 plus the bonus. It doesn’t matter if you know the answer, it matters if you know it first. 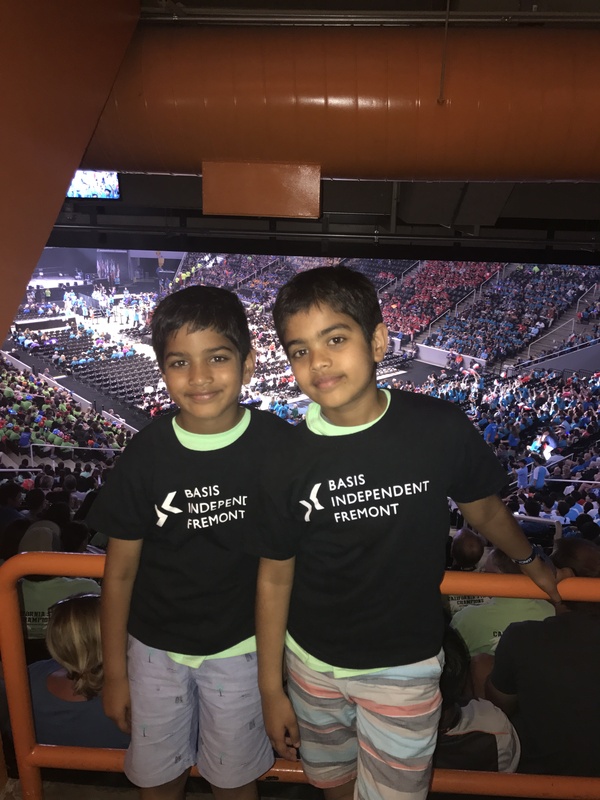 Shayaan (another BASIS Independent Fremont student) and I qualified for the Internationals in Berlin, Germany, but did not want to go because international level is super hard. If you don’t include the flight back, that was my second week of my trip. I enjoyed it a lot, had a lot of fun, and most importantly, I learned a lot.